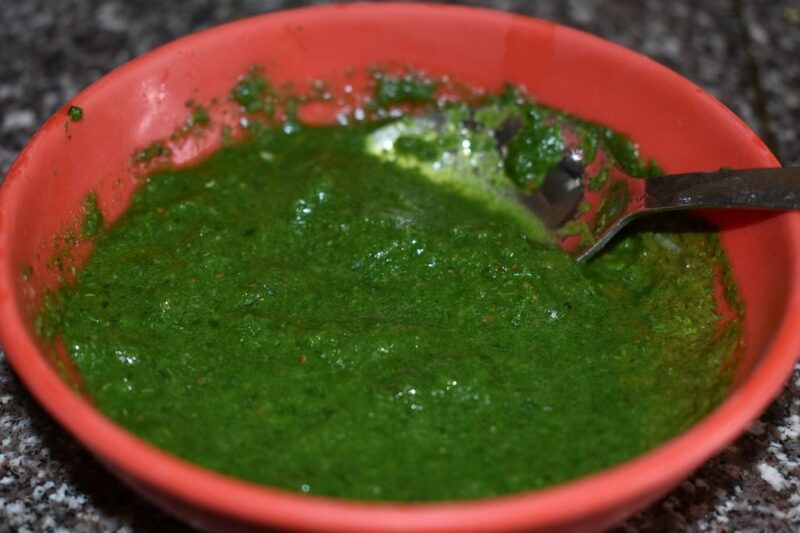 Fresh coriander chutney is one of the most popular condiment used in Indian households. This spicy and tangy coriander and chilli paste goes well with anything from fried foods like samosa, pakodas, bhel puri to even plain and simple dal chawal. It can be stored for 2-3 days when kept in a refrigerator. This recipe is vrat special and can be made with kuttu ka pakoda or sabudana vade or sabudana cutlets during the fasting time. Put washed coriander leaves in a mixer jar. Add salt, roasted jeera powder and chopped green chillies. Add a little water to grind it into a smooth paste. Add the juice of half lemon just before serving so that it keeps looking fresh and green. Fresh Coriander Chutney Recipe is ready to be served. I am the founder of Meraki Kitchen, which provides one-stop solutions for all your party needs, for a limited audience of 5-20 people. Quad Pod - a dedicated 4 person team with a chef, an assistant chef, a host and a server will ensure seamless execution of your party. Though an engineering and management professional, I had an inclination towards food since forever and recently quit my job with the dream of contributing to the food industry in some way. I love to share my passion and love for food with new people who then become a part of my culinary journey.